Jeffrey was a seasonal employee at a sugar beet plant and wanted to upgrade his skills to obtain a higher paying full-time job by earning a High Pressure Boiler License. As a seasonal agricultural worker, Jeffrey was eligible for REO’s National Farmworker Jobs Program (NFJP). 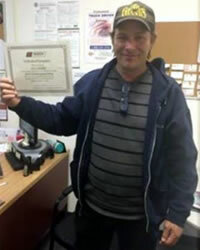 REO paid for his Boiler Operator classes which led to a Certificate of Completion. Then Jeffrey was indeed employed full time at the sugar beet plant with the job title of Boiler Operator. Upon completion of his exam, final paperwork and nearly 1000 hours of “on the job” training, he will be a licensed Boiler Operator, Third Class. With a full-time job and an increase in wages, Jeffrey is looking forward to building a strong and economically secure future. Duey had been a long-time seasonal ranch worker on the Blackfeet Reservation in NW Montana. Although he had an Associate’s degree in Natural Resource Management, he could not get his foot in the door in that field to build a solid economic future. Working in partnership with REO, Duey was able to find a placement with the Blackfeet Fish & Wildlife as a Game Check Station Operator for a period of three months. In order to become a fully vested Game Warden, the next step was for Duey to attend the MT Law Enforcement Academy for the Law Enforcement Basic Course. REO helped out with the tuition, basic police supplies, and transportation costs. Duey graduated successfully in June of 2016 and began as a probationary Game Warden for the Tribe. 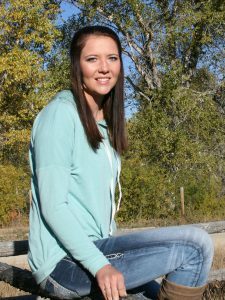 Duey’s wife, Cassie, is an NFJP participant and has completed the program at Blackfeet Community College to become an Emergency Medical Responder/Technician. 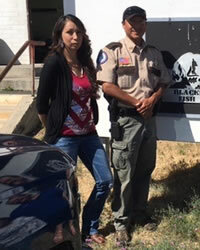 She is now employed with Blackfeet EMS. Cassie is a wonderful example for her community. 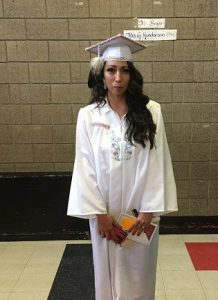 She, like Duey, had a desire to work and live on the reservation and give back to the community they love. From the very beginning, Nathaniel showed himself to be determined and unwavering in achieving his goal of acquiring an Associate degree in Agricultural Mechanics and a Bachelor Degree in Diesel Mechanics – in 3 years! He completed a co-op with Vilicus Farms for his Ag Mechanics degree in the summer of 2015. The Job Service Havre, co-enrolled him in their dislocated worker program. He was offered a summer internship with Kiewit in Sheridan WY. Nathaniel completed a welding certification and in May 2017 graduated with a 3.97 GPA from MSU-Northern with an AS in Ag Mechanics and a BS in Diesel Mechanics. Before graduation, Kiewit offered him employment, and on May 8, 2017 Nathaniel began his new career as a Diesel / Ag mechanic for Kiewit making great wages with full benefits. Shawn had been working part-time for a local rancher for several years. He sought REO’s partnership to obtain his CDL. His employer assured him he would be hired full time if he had the license. 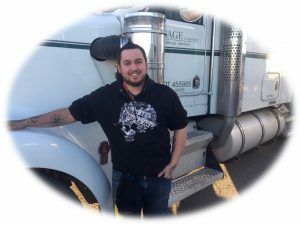 Shawn was enrolled with the Sage Trucking Co. and completed the six week course with flying colors. He is now employed full time and looking forward to building a successful future. 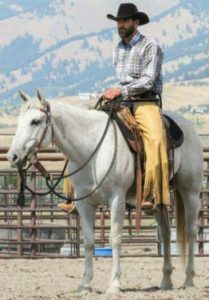 Rory completed the MSU Farrier Program in Bozeman, MT as well as an apprenticeship under his now current employer, Tom Petersen Horseshoeing & Training LLC in Bozeman, MT. He now has the option to take the exams from the American Farrier Association for the Certified Farrier and the Journeyman Farrier certifications. Gage completed the CDL program at the Bitterroot College in Hamilton, MT. 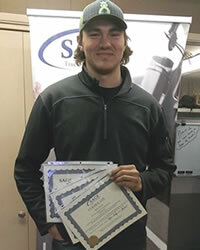 He wanted to earn this certification so that he could be employed locally, then move into different career possibilities as he gains valuable experience. Gage has found employment with Markovich Construction in Butte, MT. Currently, they are building the new Pizza Ranch in Helena and helping with the new carousel building and Water Park in Butte. REO was able to assist Nicole with an on-the-job training as a teacher’s assistant at the Wise River School. Nicole had attended a rural school during her childhood, so she knew the unique career opportunity that this position would provide. The school employs two teachers for the school, which educates students from Kindergarten through 8th grade. Her evaluations from the teachers and reviews from the students glowed with compliments for her work ethic, patience, and grasp for the teaching techniques that she learned. Nicole successfully completed her training and has decided to earn her college degree at UM-Western. 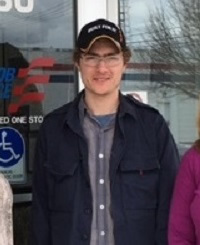 Blake completed the CDL program at the Sage in Missoula, MT. Blake has grown up working with his father and grandfather at their family trucking and excavation business in White Sulphur Springs. He started college in Dillon, but soon realized that he wanted more hands-on training and a career in the field that he knows. Blake will continue to work at Ringer Trucking and Excavation, but with his new certification, he will be able to add more responsibilities and duties to his career as he moves into management. Kaitlyn attended the Swan Mountain Wilderness School in Swan Lake, Montana. Her desire to receive the training was driven by a long time goal of acquiring a higher level of expertise in taking care of a horse herd and to manage aspects of operating a guide service into wilderness areas. 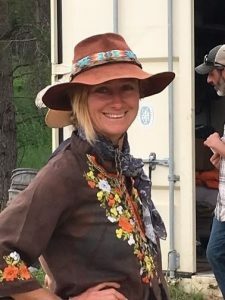 She researched wilderness schools available in the Pacific northwest and chose to attend Swan Mountain based on what they taught, hands on experience with horses as well as client services provided by guiding businesses. Kaitlyn successfully completed the training and received high marks and praise for her participation. She began looking for employment and through one of the other attendees, learned of a small ranch manager position in southern California. She interviewed with the ranch owner and was offered a position as the ranch manager with an emphasis on improving the horse herd. She reported that the ranch is planning on establishing a guiding service as well as boarding horses for clients. 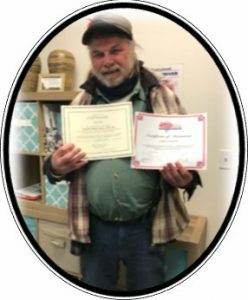 Charles graduated from SAGE- Billings and has received his Certificate of Attainment and has successfully completed the Tractor-Trailer Driver TTD 150 and now has his CDL. He has been hired on with GENEX Cooperative, Inc., part of Cooperative Resources International as a part-time Barn Assistant. Charles is working in the Billings, MT location at this time and his responsibilities include feeding/watering and checking the bulls. When Charles has completed his introductory period he will then begin receiving great benefits through the company. 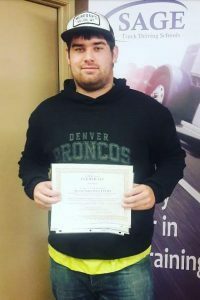 Tristan graduated from SAGE and has received his Certificate of Attainment and has successfully completed the Tractor-Trailer Driver TTD 150 and now has his CDL. He has been hired on with Clark Trucking full-time and will be driving doubles with his father.